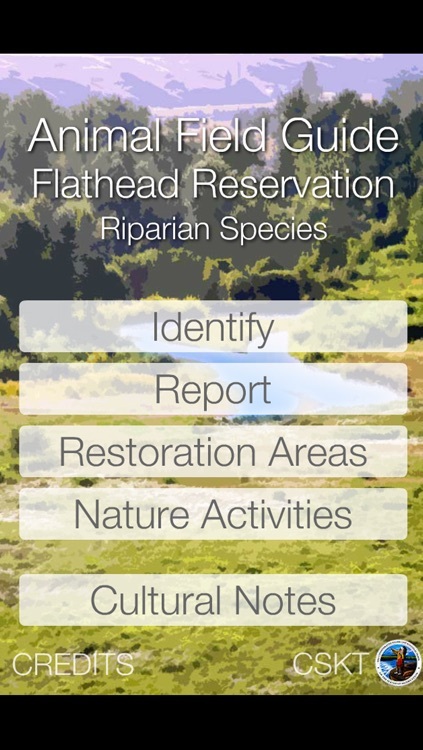 This app focuses on riparian animals commonly encountered along streams of the Flathead Indian Reservation in western Montana. 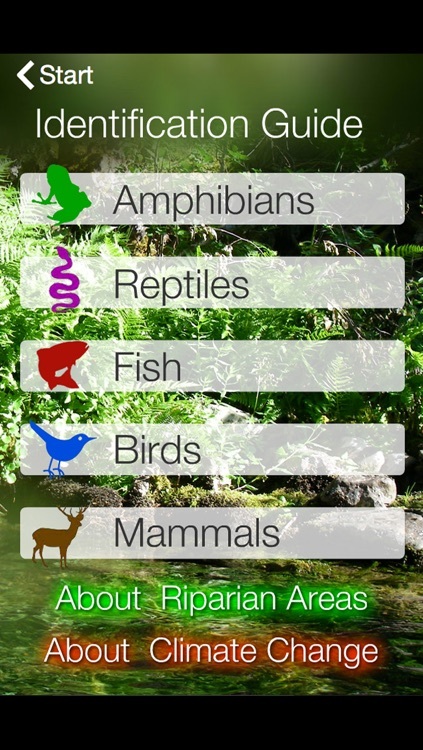 It includes fish, reptiles, amphibians, mammals and birds. 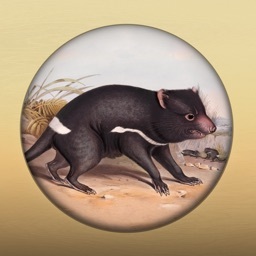 For each species, it includes photos showing identifying characteristics, a description of the animal, the species' conservation status and sensitivity to climate change, and a range map. 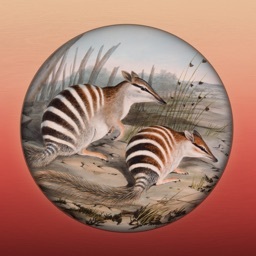 For each of the mammals, a track guide is included, and where appropriate, audio recordings of sounds the animal makes. The app also includes songs and calls for each of the bird species. 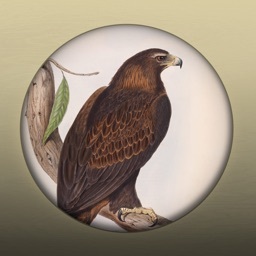 Audio buttons play the Salish and Kootenai names for each animal. 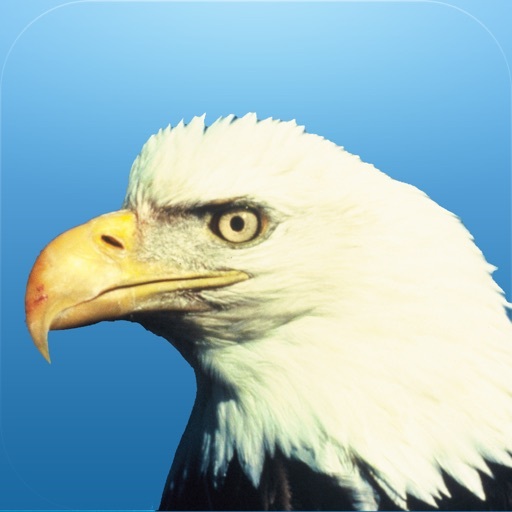 The app also allows students to report their sightings o the Tribes’ Natural Resource Department where they will be posted on a special student page on the Tribes’ website. In addition, the app includes maps of 4,456 acres of Tribal fish and wildlife mitigation lands found within the Lower Flathead River corridor. 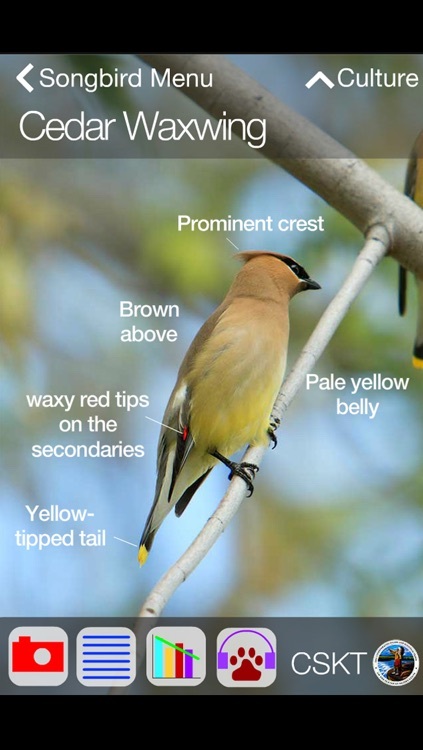 These lands, managed to enhance native habitats and wildlife and fish populations, are rich places to observe and study fish and wildlife and great places for school field trips. 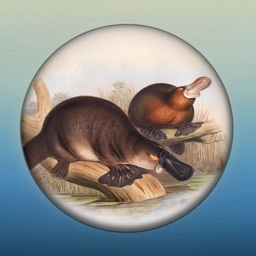 The app’s maps are accompanied by a description that includes an audio file of the Salish place name (in Salish with the English translation). 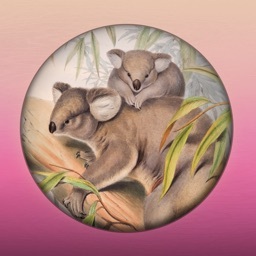 Tribal cultural values related to the land and to animals are integrated into the app by linking specific cultural information with each of the animals. Both Salish and Kootenai cultural knowledge is included. 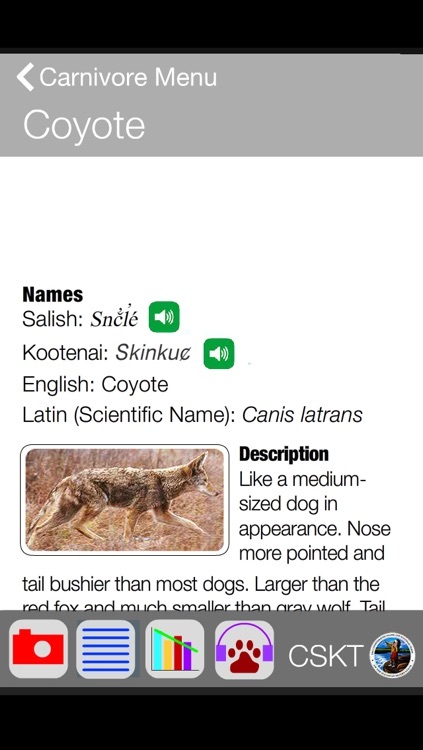 Finally, the app includes nature activities that teachers can use with their students, including: counting species, identifying tracks, adopting a mitigation area, learning Salish and Kootenai animal names, writing a journal, and having fun.